Abeo joined the Center in September 2015 as the Development Database Administrator, and was soon promoted to the position of Senior Manager, Membership/Development Operations. Prior to the Center, she oversaw the Standard Operating Procedures for a Project Management Information Systems project at the Pan-American Health Organization. 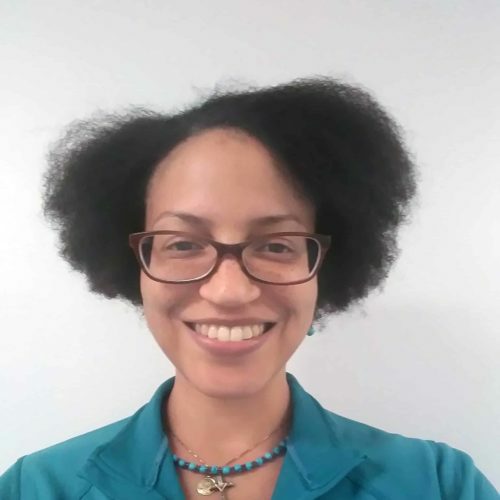 As a consultant, she collaborated on projects Howard University, The Centech Group, and the Inter-American Development Bank, where she honed her skills in relationship management, fundraiser organizing, and grant writing/reporting. Abeo also demonstrated her passion for community development and empowerment at various non-profit organizations, such as the United Planning Organization and the International Community Corrections Association. In July 2005, she collaborated with a group of local DC arts educators (a native Washingtonian herself) to successfully launch her own non-profit 501c3 youth after-school arts enrichment organization, Raising Expectations Inc, where she served as the Executive Director for 8 years. Abeo received a B.A. from Stanford University in International Relations with a minor concentration in Latin American Studies and Spanish. She also has dual M.A./M.B.A. degrees from American University with a concentration on International Business/Management and Comparative and Regional Studies in The Americas.